Said Sardar Bakhshish Singh, President of the Gurdwar,a in a communique, “I want to inform the Sikh sangat all over the United States of some very sad news that the National Gurdwara, DC has been closed since last week by the gurdwara board of trustees and the chola sahib from Nishan Sahib has also been removed against the will of the sangat.” Virtually giving an SOS call, Bakhshish Singh Ji has reiterated that the Sangat beseeched and begged the Trustees to keep the Gurdwara opened but in vain. There seems to be have been conflict between the Gurdwara’s management, its board and its sangat. While I wouldn’t indulge in such hyperbole to claim that the closure of this Gurdwara will leave a “permanent scar” on our community, I do feel it’s an unfortunate situation for a Gurdwara that had much promise, and wonder how typical management politics was involved in its demise. 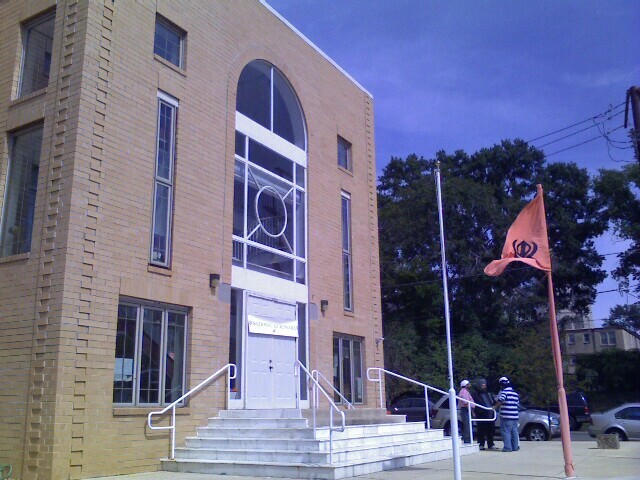 Categories: News Bits • Tags: "Washington, D.C.", National Gurdwara, Washington D.C.